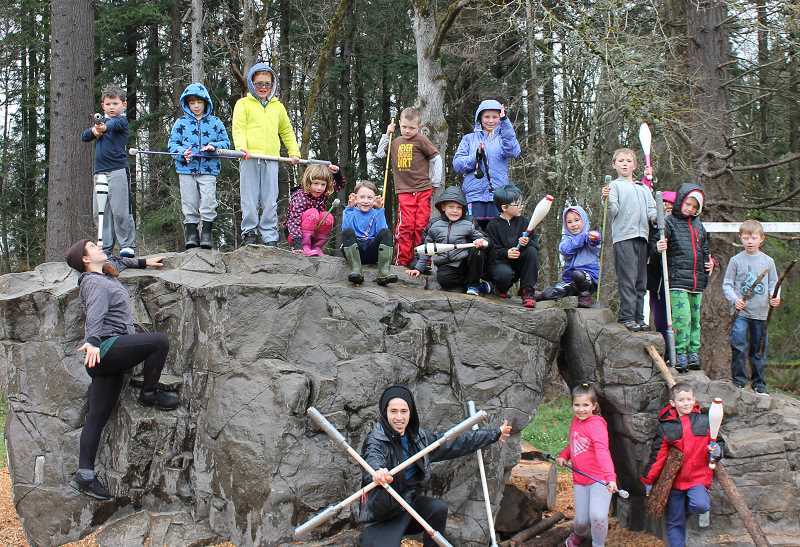 Soggy, rainy days couldn't dampen the spirits of the Little Ninja Warriors participating in the spring break camp put on by the parks and recreation departments of West Linn, Wilsonville and Lake Oswego. In fact, getting wet and muddy was the best part of the week for several campers. S. Young Park over spring break. One of these camps was the Little Ninja Warriors, where students got to "play in the river, learn to balance, play with sticks, go on adventures, play games and get dirty," according to several campers. Seven-year-old Xavier King of Wilsonville said his favorite part of Little Ninja Warrior camp was, "learning unexpected things and sliding down mudslides." For Keenan Brown, 7, of West Linn, the best parts of camp were "going on adventures and using sticks." Along with Little Ninja Warriors, Coyle Outside and the parks departments also ran Intro to Wilderness Survival, Advanced Wilderness Survival and Fish Hunters camps at Mary S. Young Park over the break. 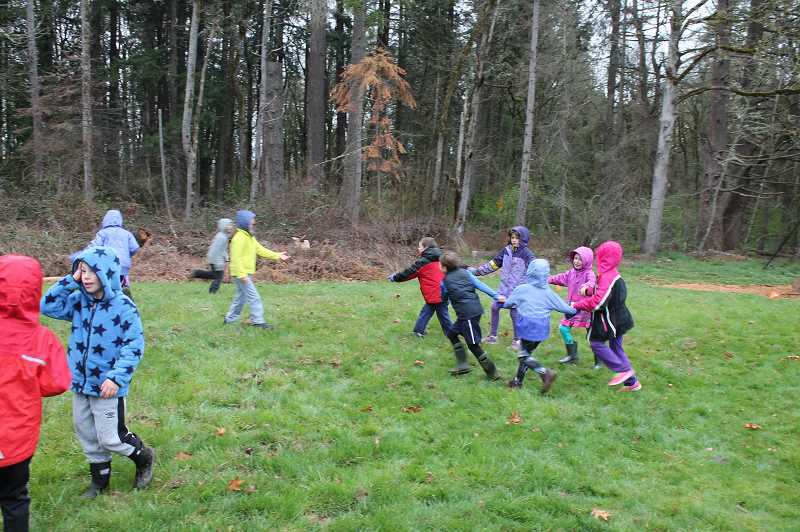 Coyle Outside works with parks and recreation departments and school districts in small to midsize communities throughout Oregon and Washington to host a number of outdoor camps throughout the year. The organization usually aims its services at towns and school districts with an interest in outdoor programming but there's not a lot of resources to support it, founder Dan Coyle said. Coyle said he has worked with West Linn, Wilsonville and Lake Oswego several times because his camps seem to fit the community well. "It's super valuable for kids to get outside and learn," Coyle said. The unique relationship between Coyle's private organization and public entities like the parks departments free Coyle from dealing with the administrative tasks like permits and registration and allow him to devote more time to making the camps as fun and informative as possible for campers. Coyle's efforts did not seem wasted on the Little Ninja Warrior campers, who were wholeheartedly enjoying their spring break experience. Riley Desmarteau, an 8-year-old from West Linn, said the best things about camp were "the river part and getting dirty," and she would definitely go to a camp like this again.